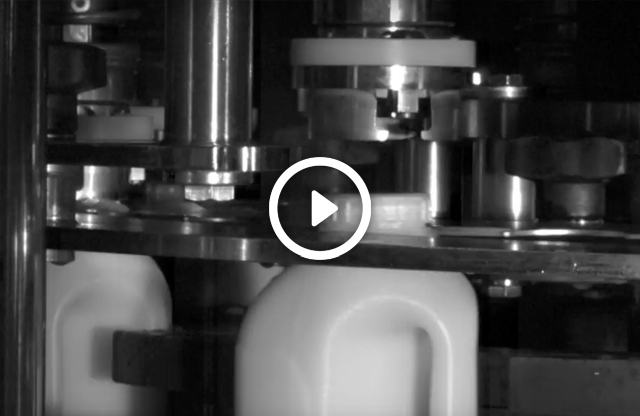 Slowmo has a wide ranging experience in filming production lines/manufacturing processes. It is proficient in gathering images used for fault detection in canning lines, bottle filling and capping, labelling, packaging, cartons and boxes as well as pick and place lines, types of cutting and newsprint production. If you have an issue with your line, Slowmo can assist in determining the source of the fault. Through the high speed images, fresh observations can be made. We don’t just take images. Mark Johnson from Slowmo actively takes part in the fault finding process using his production line experience and knowing the capabilities of his cameras. We come with our own PPE and all electrical equipment is PAT tested. A short video highlighting how high speed cameras are useful tools when dealing with all types of productions line issues. By seeing the line in slow motion, as well as being able to record a line stoppage/crash after it has occurred, makes high speed filming a key tool in determining both the presence and source of a line fault. Production lines are required to operate at high rates. For example, drinks can lines can run at 25 units per second. Seeing a damaged or misaligned can at these speeds is near impossible with the naked eye. Using a high speed camera and recording at, for example 500fps, a one second real-time event is stretched out to 20s, slowing the movement down enough to detect any issues. The detection and recording of a damaged can, partially filled bottle or missing cap is normally just the start of the analysis. Further high speed filming can reveal which wheel position/nozzle/cap chuck is at fault. With all the image data collected up to this point, a successful solution to the line problem can usually be determined. With other types of production lines, there can often be problems with various processes such as drilling, gluing and labelling, which are still too fast to be picked up without a camera. Almost every factory loses at least 5% of its production capacity through downtime and many lose up to 20%. The use of a high speed camera can quickly resolve downtime problems and Slowmo can act quickly upon a request, sometimes the same day. A digital high speed camera can capture movement after the event has occurred. It does this by continually buffering images in the camera memory and then waiting for a trigger signal. The allocation of available memory can be set to record those movements occurring before this trigger so essentially recording something that has just happened. If a fault in the line is imminent then one can arm the camera, wait until after a line failure or the appearance of a faulty product is seen and then press a trigger button. You can then see exactly what may have caused the issue. Solutions can be found very quickly when events are viewed in slow motion. Note: the viewing of a fault hence subsequent triggering of the camera can take place some distance away from where the camera is positioned. Often it is impossible to detect a fault until the product has cleared the particular process/machine and come into view. For urgent production line fault detection/one day shoots, then it is best to hire Mark and his camera/s for the day. He will determine the most appropriate camera position and settings together with lighting and capture the images necessary. Mark was previously an engineer and is very familiar with filming in factories, laboratories and specialised production environments. For a more longitudinal analysis, all cameras can be dry hired on weekly or monthly basis without an operator. Kit comes complete with laptop, lenses, lights, tripod and stands. The Photron AX-100 mono can cover most industrial applications supplemented by the Photron SA3.